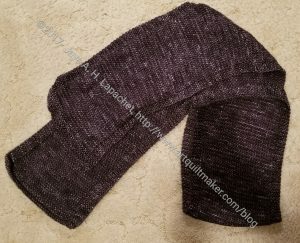 Just in time, I have finished the Knight scarf. This will be a Christmas gift for the YM. It is very long, which is great since he has been hinting around for a very long scarf for Christmas. The yarn is a combination of merino and silk.